Home News Pair of Crooks figure ‘nobody’s Home’ and break through front door. It’s a Deadly Miscalculation. Pair of Crooks figure ‘nobody’s Home’ and break through front door. It’s a Deadly Miscalculation. Michael Richardson was asleep in bed Monday morning when the 25-year-old heard two men talking outside his residence in Moss Point, Mississippi, WJTV-TV reported. Richardson told police that he heard one of the men telling the other that “nobody’s home” — and then the two burst through his front door, the station said. With that Richardson grabbed his gun and opened fire, killing Titus Kelly Jr., 18, who was pronounced dead at the scene, WJTV reported. 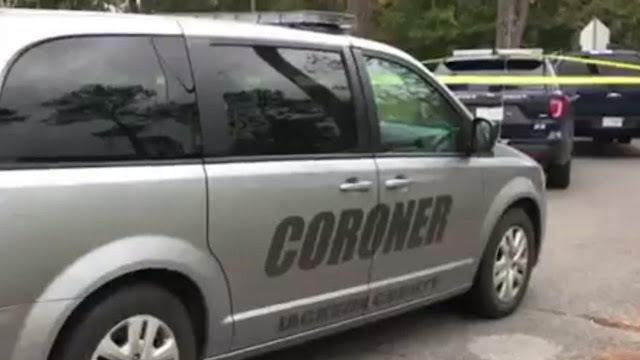 The second man — 19-year-old Antonio Jackson — fled the scene, the station said, adding that police soon learned Jackson had been taken to a hospital with gunshot wounds to his chest and was in “serious condition” and flown to an Alabama hospital. Police told WLOX-TV they have the gray 2011 Toyota Camry used to transport Jackson to the hospital and have spoken to its owner — but they’re still trying to determine who drove the vehicle and are asking for the public’s help in finding that individual. What’s the latest with the resident who fired the gun? No charges have been filed against Richardson, Moss Point’s police chief told WJTV.